The Big Sky released their awards on Thursday, and to no surprise, Damian Lillard is the Big Sky MVP. 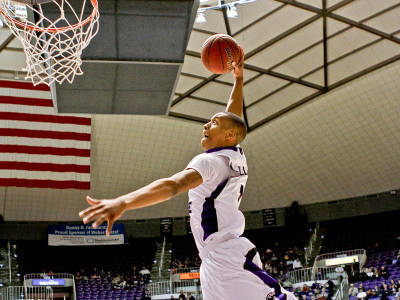 For the second time in his career, Weber State’s Damian Lillard has been selected as the Big Sky Conference men’s basketball Most Valuable Player. Lillard highlighted the individual award winners and the All-Conference Team, which was selected by the league head coaches and released by the conference on Thursday. Lillard, a 6-foot-3, junior guard from Oakland, Calif., was one of three unanimous selections to the All-Conference First Team. Montana guard Will Cherry, who also captured Defensive Player of the Year, was a unanimous selection, as was Portland State senior guard Charles Odum. Congrats to everyone that got honored. Tough to argue much with any of the choices... after the season I will have a much more comprehensive look, as that will be an ideal time to devote my energies to really diving into the all-conference teams and awards.